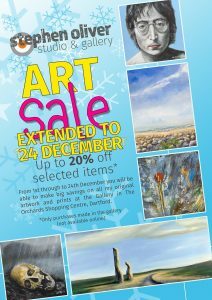 Christmas Sale at the Gallery. Starts 10:00am Friday, 1 December 2017. 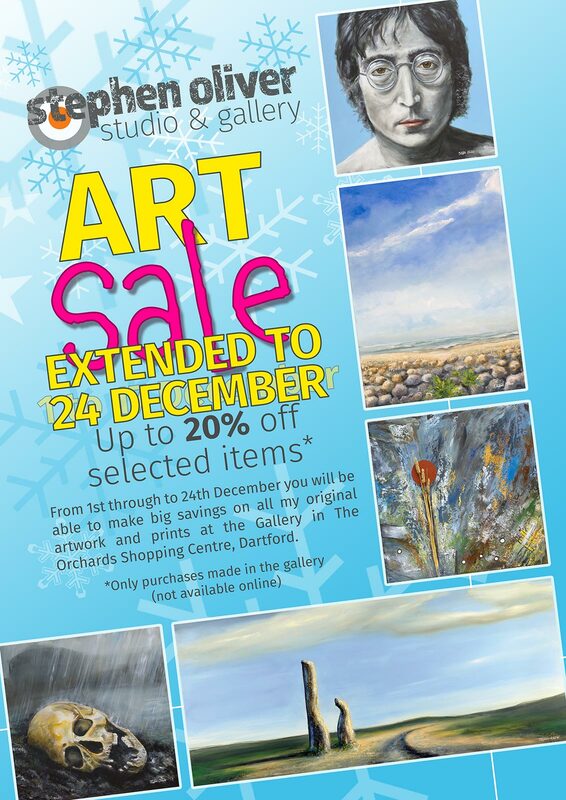 From 1st through to 24th December (Thurs, Fri, Sat & Sundays) you will be able to make big savings on all my original artwork and prints at the Gallery in The Orchards Shopping Centre, Dartford – You can save up to 20% OFF SELECTED ITEMS*. 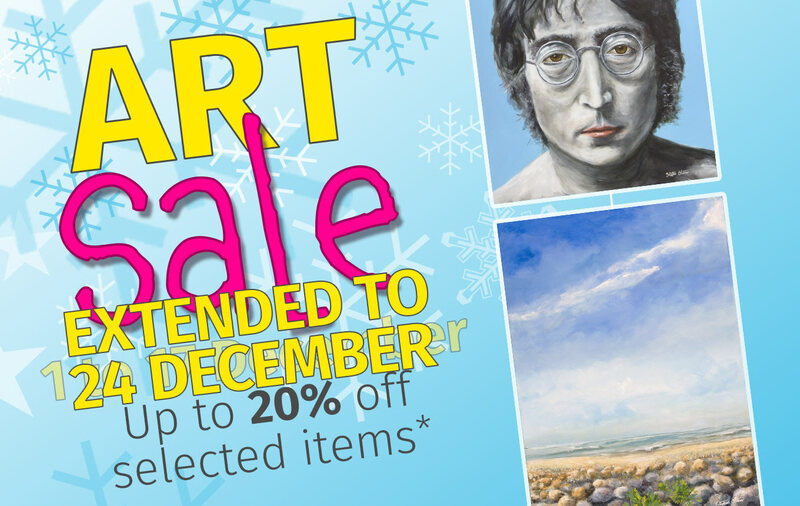 *Only purchases made in the gallery (not available online).